Red Jasper can help enhance one’s endurance and stamina and can work over time to increase the amount of chi, or life force, in one’s energetic field. It strengthens the root chakra and strengthens one’s connection to the Earth. It enhances memory, especially of dreams or other inner experiences. Its energy pattern is so stable that it tends to stabilize one’s own energies if one wears or carries it or keeps it in the environment. Such stabilization can lead to good health, balanced emotions, truthful expression and just actions. This stone has a kind of down-to-earth nobility that simply ‘rubs off’ on the owner. Red Jasper does its work gradually, but it offers the advantage that the gains one makes are more permanent than those achieved with different stones or other methods. Red Jasper’s frequency stimulates the awakening of energy and lends strength as life-force energy rises through the body. Red Jasper aids in manifesting creative ideas. It can help one continue working on a project or idea after it has lost its original excitement. Its energy helps one to be disciplined in one’s creative work, bringing self-mastery to those who are a bit scattered in their focus. 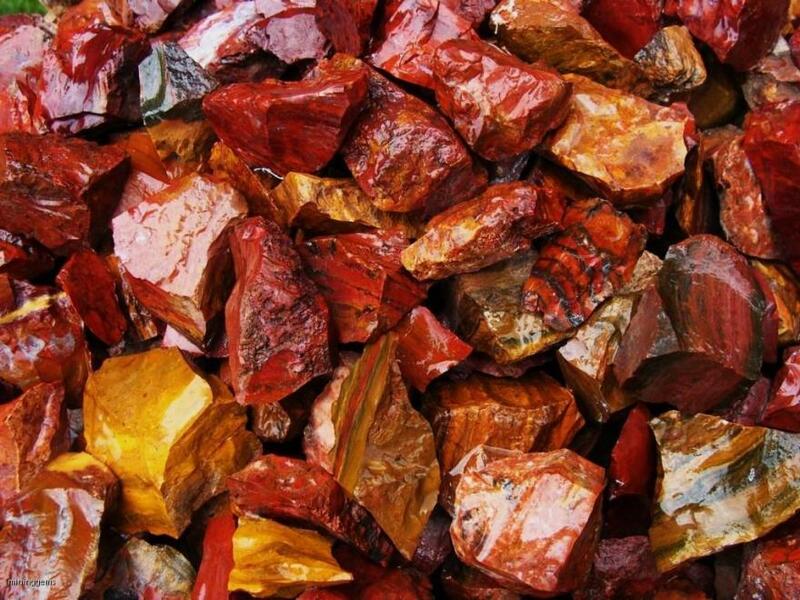 Red Jasper activates and stimulates the base chakra. Red Jasper helps one to release shame or guilt around sexual issues. It is an ally for those who are determined to heal and recover. Red Jasper is a stone of physical strength and energy. It is wonderful for those who need extra support to recover from physical weakness due to illness. It is also useful in weight lifting and bodybuilding because of its ability to help generate muscle tissue. It can be used to enhance the effects of exercise and to support the circulatory and respiratory systems. Red Jasper is useful in helping to stabilize pregnancies and promote robust foetal growth. My physical vitality, emotional balance and personal integrity and enjoyment of life grow ever stronger.